His late spring birthday would make him the youngest Australian Derby winner in 32 years. When he was foaled at New Zealand’s Windsor Park Stud, at 11 pm on 18 November 2009, it simply meant that Dundeel was the 315th of 343 foals born on the Stud that spring. Two weeks later he was transferred to Mapperley Stud where he would remain until he was sent to the breakers in May 2011. His mother Stareel was one of 66 mares to visit High Chaparral in 2008, the third of the four seasons he stood in New Zealand. By the time Dundeel arrived, High Chaparral was making headlines as the sire of So You Think and Monaco Consul. 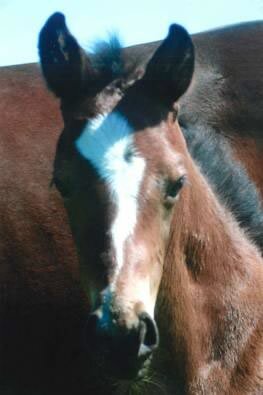 They won the Cox Plate and the Victoria Derby in the month before Stareel’s bay colt was born. 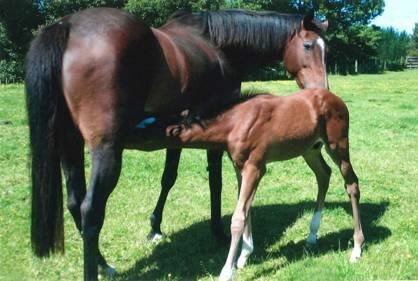 Stareel had already produced three decent colts, winners in New Zealand, Hong Kong and Singapore. But none of them was like this one. His breeder Murray Andersen knew there was something different, something special about Dundeel right from the start. He also thought he knew why. There’s plenty of experience behind Murray Andersen’s decision-making, because he’s bred and raced dozens of thoroughbreds over more than 35 years. That includes almost every horse from Dundeel’s first three dams. The best of them, before Dundeel, was his grand-dam Staring. 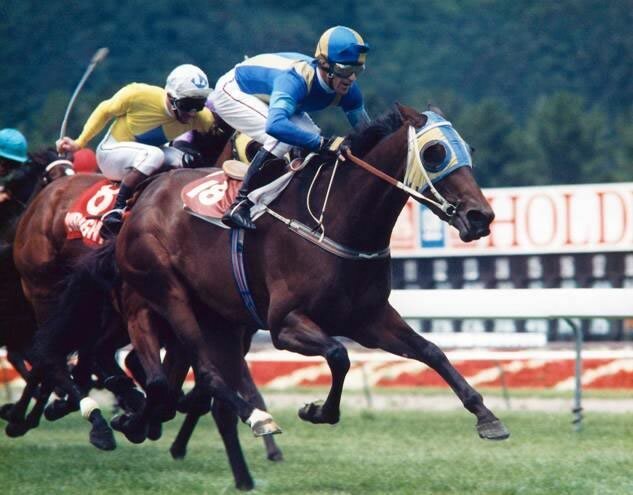 Staring – pronounced Starring but carefully spelt with seven letters in homage to the legendary Phar Lap - won the 1992 New Zealand Oaks and the national Filly of the Year title. A year later she won the country’s premier weight-for-age race over 2000 metres, now called the Zabeel Classic. And it was to champion sire Zabeel that Staring left her first three foals, two colts and a filly, the results of a breeding partnership with Sir Patrick & Lady Hogan. High Chaparral’s $17,500 fee in 2008 was the highest Murray had ever paid and the colt was originally destined for the New Zealand yearling sales. Sometime in the autumn or winter of 2010 the Andersens made the life-changing decision to keep Stareel’s son and sell shares in him privately. The Transtasman Partnership of family and friends that Murray Andersen and his sister Sharyn’s brother-in-law Tony Craig gathered to race Stareel’s High Chaparral colt sent him to Murray Baker’s Cambridge stable as a spring 2YO. That was in 2011, about 20 years after his grand-dam Staring had also entered Murray’s care. Murray is a horseman of the old school, a former first-class cricketer who trains horses with the same focus and flair as the batsman and spin bowler he once was. He soon worked out that he had another “traveller”, worthy of the trip across the Tasman Sea for the pressure tests of Sydney & Melbourne racing. It was a familiar trip for Murray who had already trained Group 1 winners in four Australian states. Naturally, Melbourne’s 2012 Spring Carnival beckoned, but Sydney in the autumn of 2013 was where Dundeel would make history. In the Group 1 Randwick Guineas over 1600 metres he once again met Proisir who had run so bravely in the Spring Champion. Hall of Famers Phar Lap, Tulloch, Kingston Town, Strawberry Road, Octagonal, Flight and Peter Pan had all won the Australian Derby. Yet none of them won it the way Dundeel did, running his final 400 metres faster than world champion sprinter Black Caviar in the 1200-metre T.J. Smith Stakes on the same day. Dundeel was subsequently awarded a rating of 121 on the official 2013 Longines World’s Best Racehorse Rankings. That confirmed him as Australasia’s best three-year-old in his categories, and he was headed only by Ruler Of The World (122) among the planet’s best three-year-olds over 2000 metres on turf. 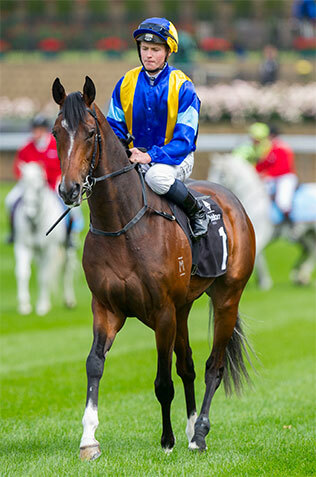 The Transtasman Partnership accepted trans-Tasman awards, when Dundeel was named the 2013 Champion New Zealand Three Year-Old & New South Wales Champion Horse of the Year. It looked like the top of the mountain but Murray Baker and Murray Andersen knew better. Those Derby-winning Hall of Famers had all returned at four to win at weight-for-age. Dundeel wouldn’t have to look far to find his opposition. Like him, she was by a Northern Dancer-line stallion, from a Zabeel mare. Like him, she won her first five starts, including the Group 1 MRC Thousand Guineas. She closed her 3YO season with victory against the older horses in the Group 1 All Aged Stakes, her 7th straight win. Sixteen months later Atlantic Jewel returned from injury to triumph in the first Group 1 race of Melbourne’s Spring Carnival before saluting in her ninth straight win. A hoof abscess derailed the remainder of Dundeel’s spring campaign. He missed the Caulfield Stakes showdown with Atlantic Jewel, who bounced back from defeat with an arrogant, four-length dismissal of her rivals. Dundeel went into the Cox Plate clouded with uncertainty about his soundness and did it tough in a physical battle. His Autumn consisted of four races – all Group 1’s. He placed in each of the three lead up events before tackling his grand finale; the Group 1 $4 million Queen Elizabeth Stakes during the inaugural The Championships event. Dundeel sat handy, stalking the pacesetter Carlton House, before unleashing with his trademark turn of foot at the 400m and securing his sixth Group 1 win. A Champion in every sense of the word.